Last summer in Yuma, Arizona, we had the worst thunder/rain storm I have ever seen. We had winds of over 60 mph and astonishing rain. We got about 2.5 inches of rain in about two hours (our average rainfall for a year is 3 inches). At times the rain was blowing sideways. Our sliding patio door is under an overhang of about 4 meters and, at one point for about half an hour, the rain was hitting the door so hard that it filled the track and water was overflowing the track into the house. Water started flowing down the wash behind our house, and pools of water were standing all over the yard. After about an hour, the electricity went out, and, of course, the air conditioning stopped at once also. 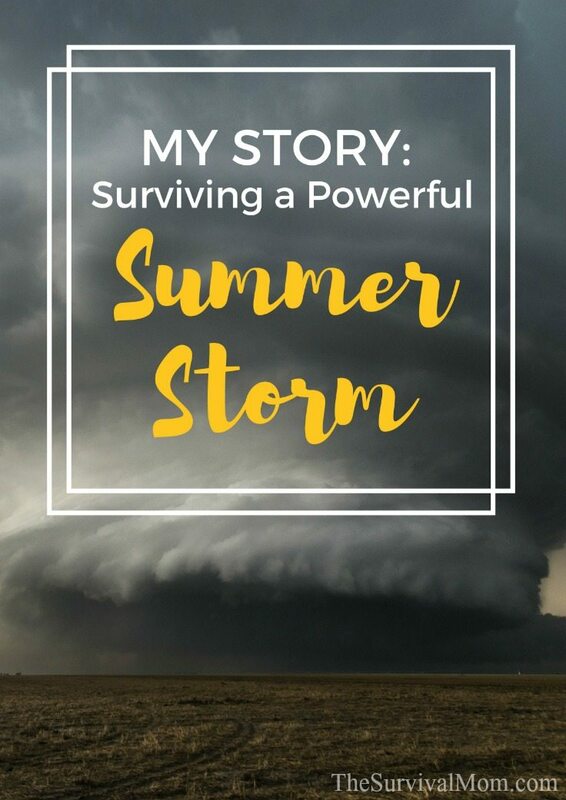 Fortunately, the storm cooled the air, which was about 85 degrees and quite humid. At that point it was still light outside. We quickly found out that the water faucet didn’t work either, only a tiny trickle of water (The water company pumps run on electricity, apparently. I always thought they pumped the water to a large tank on a hill and fed us by gravity; not so.) So we started getting prepared. A bucket under the kitchen faucet to caught the trickle. After 10 gallons were captured, we figured we had enough. Fortunately, we had some battery operated fans for ourselves and enough to loan fans to some unprepared acquaintances. While it was hot and sticky, the breeze from the fans made us much more comfortable. I also got out our backpacking headlamps, the kind with 5 LEDs and an elastic strap. When it got dark, at least we could sit and read without using a lot of batteries (these use 3 AAA batteries). Fortunately, we had plenty of water in 5 gallon jugs. If things had gotten really desperate, I would have gotten water from our absent neighbor’s swimming pool and distilled it. As it turned out, the storm knocked over 65 power poles, taking the lines down with them. I saw some of them, and they looked like a giant had just broken a bunch of matchsticks. I was amazed when Arizona Power Service restored the service after only 26 hours; I thought it would take a week. All in all, I was pleased with how prepared we were and how well we could have weathered the power outage even if it had been extended. Granted, we would have had to start drying the meat that was in the freezer. 1. The small fans were a godsend. Every family should have at least one for each person plus a spare. The fans are made by O2 Cool, are 5 inches and take two D cell batteries. They are quiet and the batteries last a long time on low, which is all that is necessary. I just bought three more after we got our power back, and, since the order was over $25, shipping was free. 2. Make sure you have a very good supply of D cell batteries. Within 12 hours of the power loss, there was not a D cell battery available anywhere in Yuma. All other types of batteries were easily available, but not Ds. It would be a good idea to have battery operated radios, etc. that use AA, AAA, C, or 9 volt batteries. We had plenty of batteries, but were stretched when we loaned fans to friends, as each of the large fans we loaned them took 8 batteries. 3. The headband lights are cheap, and very easy for reading at night. 4. Some rechargeable batteries and a small solar battery charger is not a bad idea. 5. If you think you are going to need dry ice to maintain your freezer, go get it as early as possible. It sells out as fast as D batteries. Hope this is of some interest and is helpful. 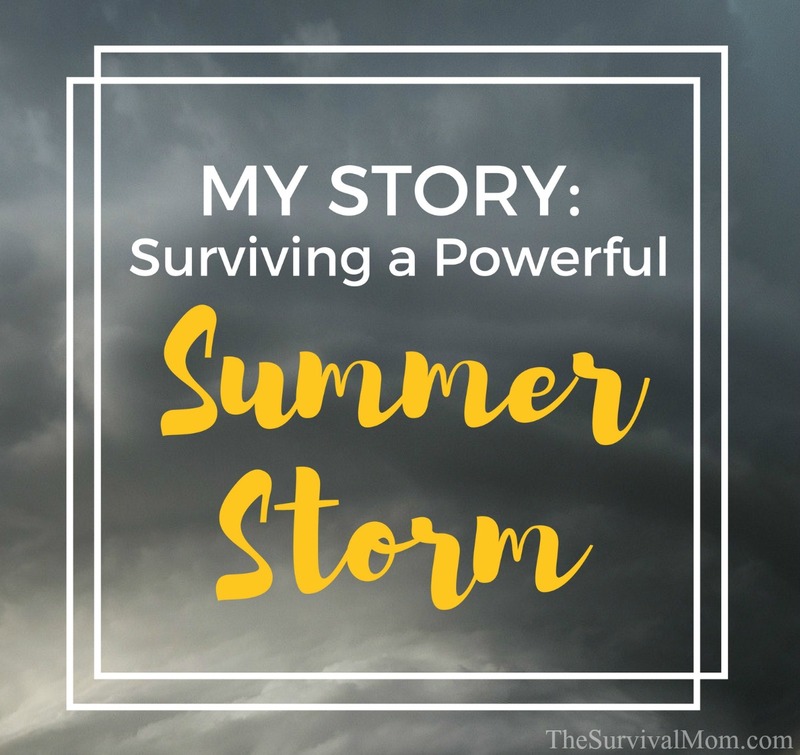 Have you lived through a powerful summer storm? How did you cope? I don’t have that many things that take D size batteries and have lots that take AA and AAA so I have purchased quite a few rechargable AA and AAA. For the things that take D and C batteries I have purchased some of the eneloop adapters. You put AA batteries in the converter and it will run D and C battery items. They look just like a D and C size battery and you put your AA in and put the adapter in your device. You can get them at eneloop.com or on amazon for around $8-10 for 4. That way I only have to buy and stock 2 sizes or reg and rechargables. My solar battery charge will charge back up AA and AAA in about 3-4 hours with good sun. We keep our RV water tank full when parked. Every month or so we use it up and refill it so it is fresh. Thanks for this article. Searched your site to see if anyone recommended the O2Cool fans and found this. So i ordered 2 from amazon warehouse around $5.75 each.